Are you curious about digital resources that the library offers to you the patron? Sign up for this class that teaches you how to utilize Omni for ebooks or Zinio/RD for magazines. Learn about Tumblebooks and World Book Online as well. Friends of the Limestone Township Library District Annual Fall Festival. Spend the day with us and our Open Air Craft Market. There will be stories, crafts, and games for kids. Browse the book sale and start looking for the perfect hostess gifts. Costumes are encouraged. Kid in 4th-7th Grade get to meet each month to discuss a Caudill Award winning book from the past year. Books are available for pick-up ahead of time at the Front Desk. The selection for October is Book Scavenger by Jennifer Bertman. Read and discuss Y.A. novels for young adults in 9th - 12th grades. Books are available at the Front Desk. 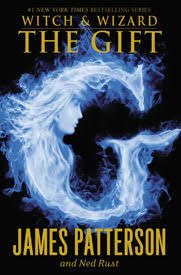 October’s Selection is The Gift by James Patterson.